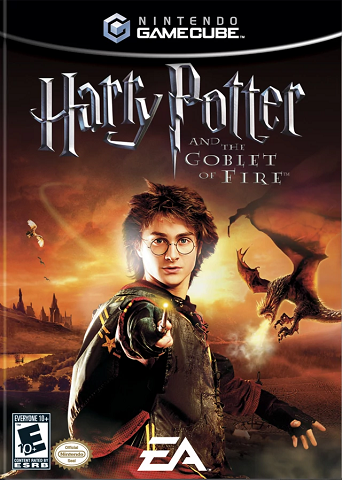 After showing serious potential with the uneven but entertaining Harry Potter and the Prisoner of Azkaban, I was eager to see what EA Bright Light had in store for the next installment in the series, Goblet of Fire, but along the way, something went seriously wrong. If previous Potter games were inspired by The Legend of Zelda, then Harry Potter and the Goblet of Fire is inspired by Sonic the Hedgehog – mainly by throwing out everything at the slightest hint of criticism and starting over with brand new, half-baked ideas. In a break from tradition, we will talk about the presentation first, as I want to get the positives out of the way. Goblet of Fire looks fantastic. Lighting, rain, fire, and wind all behave realistically, the richer colour palette leads to some truly spectacular scenery, and aside from one area (putting out the fire at the end of the first Herbology level), the game holds a steady 30 frames per second throughout. All character models are now directly based on the actors' likenesses, rather than previous games' close-enough-before-litigation knockoffs. In fact, the game goes out of its way to trumpet its more direct connections to the movies at every turn. The box art features Daniel Radcliffe, the collectible Cards have "exclusive" screenshots from the movie on the back, and when this game was brand-new, the North American release was bundled with a coupon redeemable for one general-admission ticket to the movie. Unfortunately, at this point none of the film's cast does their own voice work, with the notable exception of series newcomer Ralph Fiennes as Voldemort. Stephen Fry returns to narrate the cutscenes as he did in previous games, but as much as I love Fry's work, he is clearly cashing his cheque and could not sound more bored if he tried. There's also an attempt at creating banter between Harry, Ron, and Hermione, but as nearly every line is related to their objective or a gameplay mechanic, it comes across as forced and hackneyed. The closest thing to a joke in this game is Ron's obsession with Bertie Bott's Every-Flavour Beans. Goblet of Fire's approach to both gameplay and storytelling are clearly inspired by an earlier EA Games adaptation, Lord of the Rings: The Two Towers. Both games feature three playable characters that follow classic archetypes, combat-heavy gameplay, light RPG elements, and even have a similar end-of-level ranking system. However, where Two Towers at least put in an effort to compress 1 1/2 movies' worth of content into a single campaign, with cutscenes that shift impressively between the movie and in-engine graphics, Goblet of Fire uses stylized slideshows of concept art, a trick commonly used by launch titles with limited budgets. Whether this was due to a lack of time, money, or both may never be answered, but the effect is extraordinarily cheap, and weakens some otherwise impressive setpiece moments, such as the chase with the Hungarian Horntail or the climactic fight against Voldemort. This is normally the section where the review would go into more detail about changes and cuts to the story, and I will give it the same amount of effort that EA Bright Light did. Goblet of Fire ditches the Legend of Zelda influence from previous Potter games in favour of a more arcade-style approach. 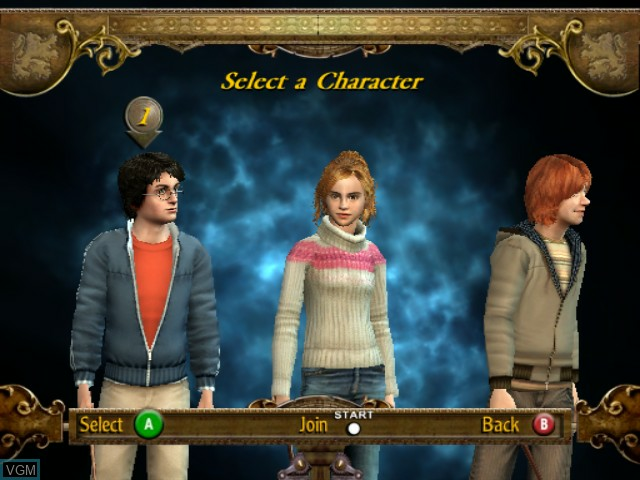 The power-trio magic system returns from Prisoner of Azkaban and has been redesigned to make the three playable characters fit the classic Fighter/Mage/Thief archetypes; Ron has better health and powerful jinxes, Hermione casts more complex spells and can buff the group's stats, while Harry is balanced. The trio can be further upgraded by assigning up to three Cards which can be purchased with collectable Every-Flavour Beans. When equipped, these cards give each character special bonuses like regenerating health, harder-hitting spells, or better resistance against certain enemy types. There's also a special Super Mode mechanic called Magicos Extremos, where our trio uses the power of friendship to unleash hell on any fire-breathing salamander or dugbog that dares to cross their path. Unfortunately, despite this seemingly wide berth of options, Goblet of Fire suffers from a serious lack of content. The game is split into ten levels — two of which are tutorials that cannot be replayed once completed — and a handful of small challenge levels, all of which are accessed through Dumbledore's Pensieve. Of these eight "main" levels, three of them are setpieces from the Triwizard Tournament, and a fourth is the final boss against Voldemort; these must be played as Harry alone, and he cannot use any of his Cards. This leaves just four maps where the player can use the three-character gimmick around which the game is seemingly built. These maps are, to put it lightly, awkwardly designed and control poorly, which is not helped by an unorthodox isometric camera angle. Control is laggy and awkward, and the default damage jinx doesn't feel particularly powerful even when upgraded. Partner AI is atrocious, which is all the more inexcusable as Harry, Ron, and Hermione will often need to combine their magic for special spells. Even stranger, the partner AI never cheats to teleport to the player's side when the camera loses sight of them, so if the AI gets stuck on some part of the level, the player must manually coax them out. Level design is just as bad. When the player first enters a level, they go through a sequence introducing a new mechanic, and at some point later reach a "checkpoint marker" on the ground which is where they respawn when re-entering the level from the Pensieve. Putting the player in the middle of a sprawling level on a replay is incredibly frustrating and annoying, as players will need to frequently hunt down a certain number of Triwizard Shields to unlock the next level, which can be on any of these branching paths, and must be navigated without a map. Of all Goblet of Fire's many failings, these Triwizard Shields are perhaps the most egregious. This game simply doesn't understand the purpose behind collectible-driven game progression. In a game like Super Mario 64, collecting the Power Stars is a major part of the game, and treated as a reward. 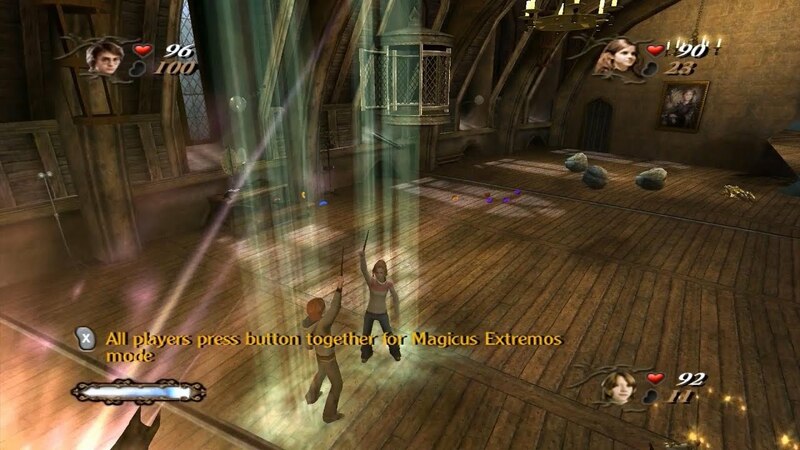 In Goblet of Fire, the Triwizard Shields are an artificial obstacle to overcome, a chore preventing the player from seeing what the rest of the game has to offer. 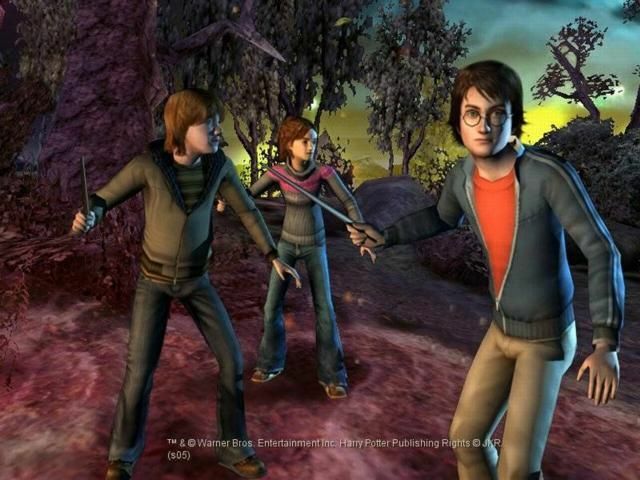 Harry, Ron and Hermione aren't looking for the Triwizard Shields as part of the story; you, the player, are collecting the Shields to see what happens to them. On paper, the Triwizard Shields and Power Stars serve the same purpose, but context makes the former far less memorable. Perhaps the most telling difference between the two is that when the player collects a Shield, there is no rewarding feedback or special cutscene, just a simple fade to black. One down, way too many to go. 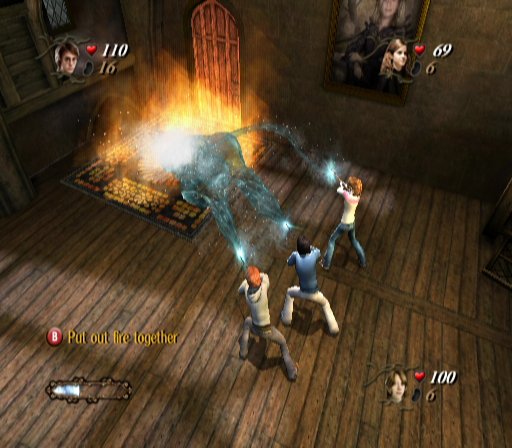 Harry Potter and the Goblet of Fire risked everything with its gameplay shakeup, and it backfired spectacularly. There is nowhere near enough content, and the gameplay is nowhere near good enough, to justify recommending it, even as a morbid curiosity.